Featuring a navy blue georgette straight fit semi-stitched salwar-kameez embellished in gotta patti. 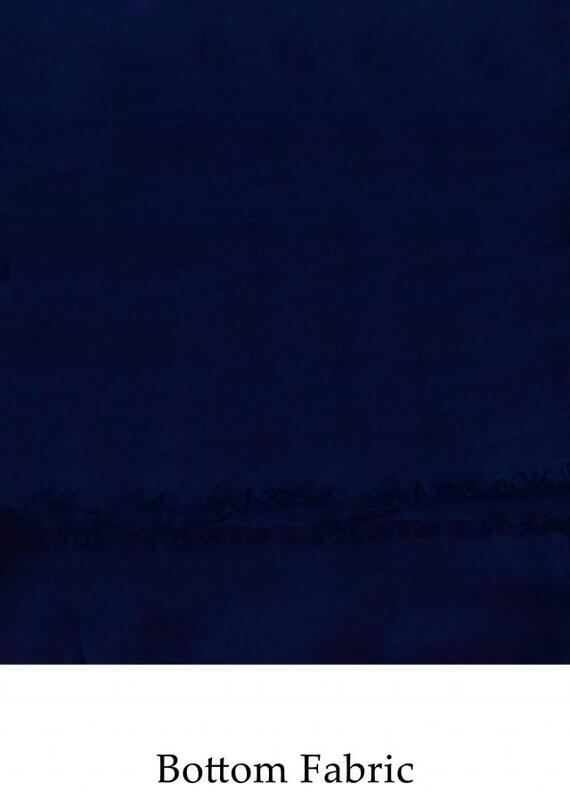 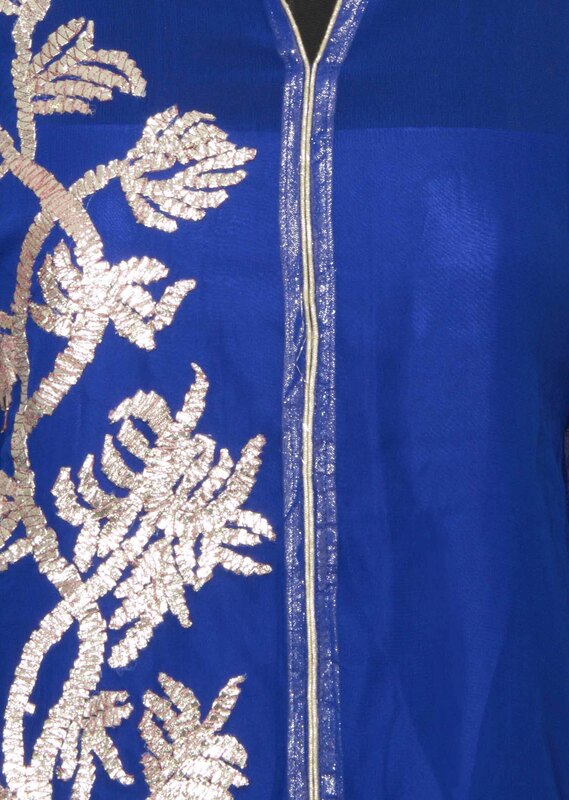 Neckline is in navy blue chinese collar with silver lining. 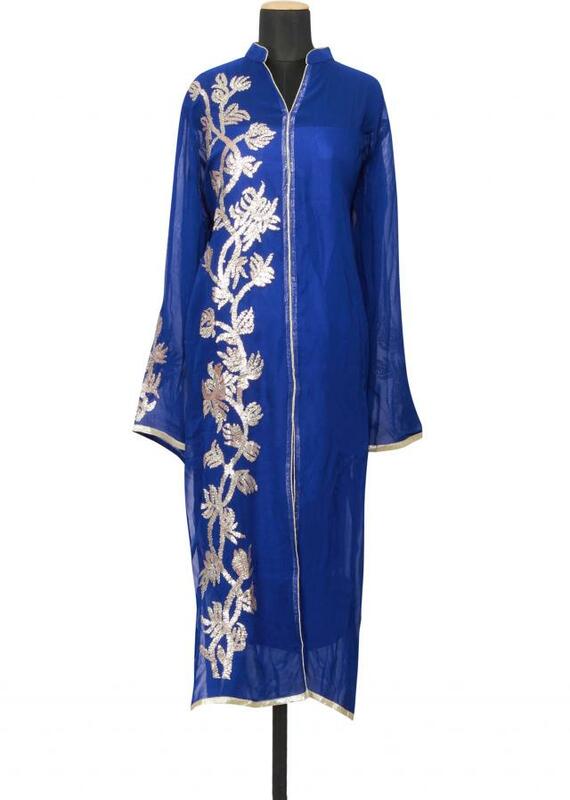 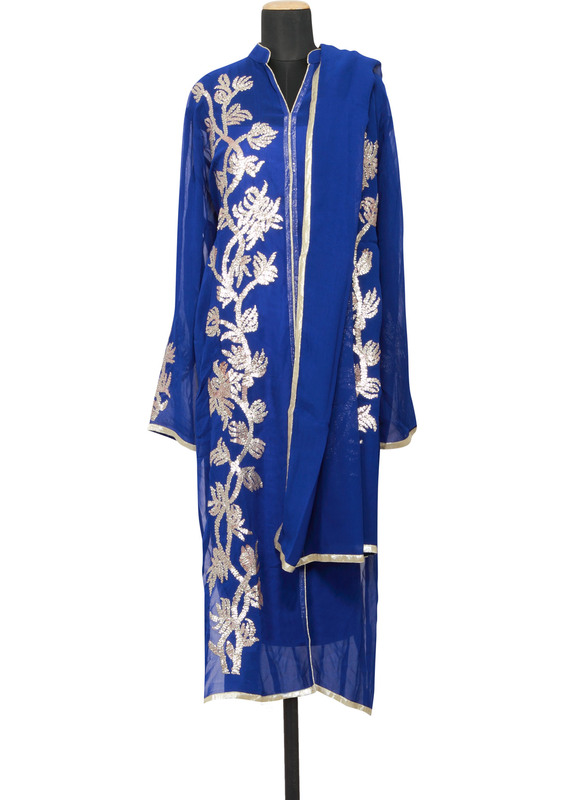 Dupatta is in navy blue georgette embellished in gotta patti work and silver zari border.